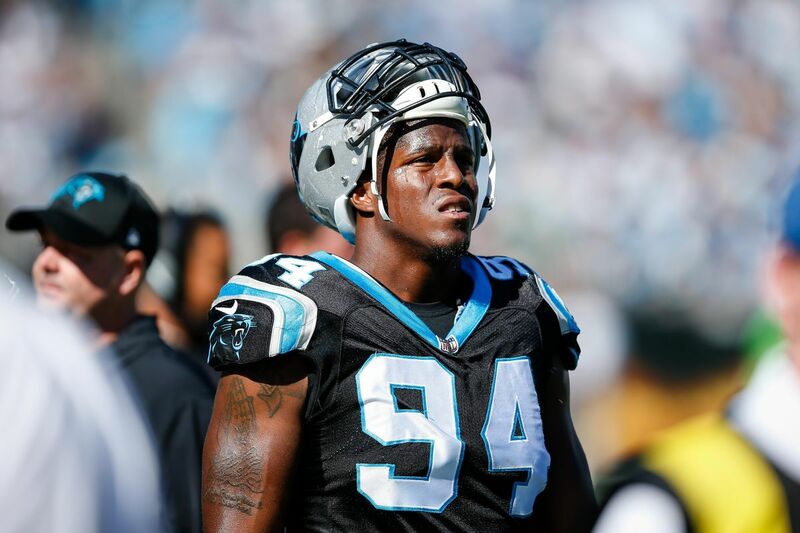 The Patriots acquired defensive end Kony Ealy and a third-round pick from the Carolina Panthers in exchange for a second-round pick, a person with knowledge of the move told USA TODAY Sports' Tom Pelissero. He has the tools to be a big-time pass rusher at 6-foot-4 and 275 pounds, but it hasn't happened to this point. Ealy was a second-round draft pick, No. 60 overall, from Missouri in 2014. So Bill Belichick moves back eight spots in the upcoming draft to trade for a young, fairly productive pass rusher who will cost him close to nothing and brings no long-term baggage contractually or off the field. Ealy played 37% of the snaps as a rookie and had played almost 60% of the Panthers snaps over the past two season. The Panthers still have a third-round selection, acquiring a compensatory pick for losing cornerback Josh Norman in free agency a year ago. The third-round pick going to the Patriots is No. 72 overall. The rookie contract of Ealy, the Panthers' second-round draft choice in the 2014 draft, is set to expire at the conclusion of the 2017 season. He recorded 32 total tackles, including five sacks, with two forced fumbles and an interception. He's notched 14 sacks in his three-year career, though he was dominant in Super Bowl 50, finishing with three sacks, a forced fumble and an interception. The team's other reserve, Jabaal Sheard, is an unrestricted free agent who appears interested in a fresh start elsewhere (he visited Miami and is scheduled to meet Indianapolis).